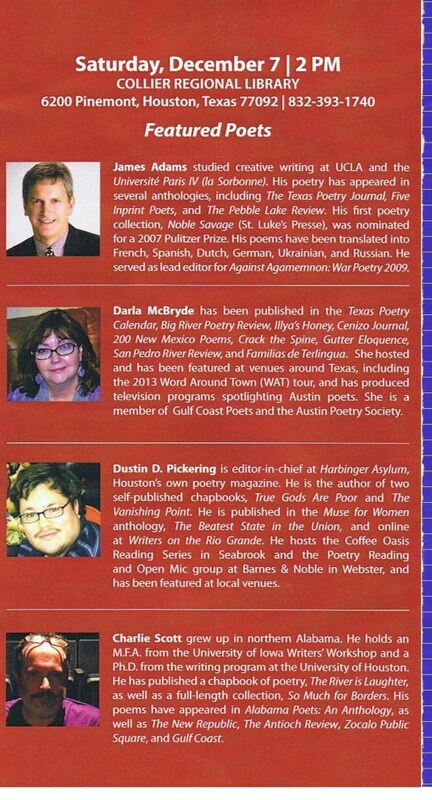 The monthly Public Poetry Reading Series will be held on Saturday, December 7, 2 pm at HPL Collier Regional Library. The line-up includes former WITS writer Charlie Scott, as well as James Adams, Darla McBryde, and Dustin Pickering. As always, a talented WITS student will also be featured. For more information about this FREE event click here.